Although I only took a little more than a week off, I can’t believe the amount of catching up I have to do. I decided before I left on my trip to California that I was going to be present in the moment and really enjoy my time away. I only checked my email a couple times, did one blog post about taking a break, and barely touched social media. It’s not that I was feeling the need to leave it all behind, but I’ve found in the past that a little hiatus allows me to come back with a fresh perspective, new insights and renewed energy. As a result, whatever I’m faced with when I return is well worth it. Starting three years ago, I heard about choosing a word of the year instead of making resolutions. This year I chose chances and it pushes me to try new things in the face of fear. Because of it, I’ve started skiing again, I’ve made some changes to my business and I’m about to embark on my first major home renovation. Best of all, I’m willing to step out and experience a whole lot more. It isn’t always pretty- take bumper to bumper Los Angeles traffic. But, getting to see wide streets lined in gorgeous mature trees with character homes and beautifully landscaped yards in Beverly Hills is the gain. 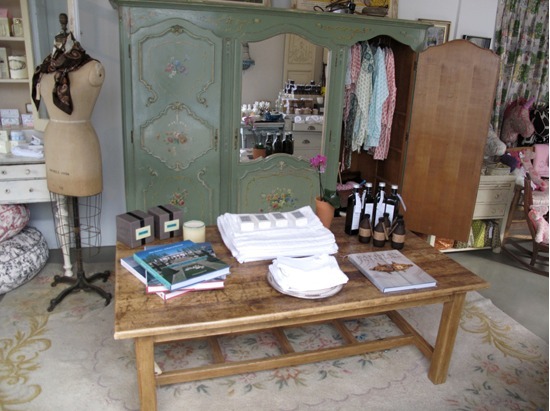 Saying “why not” takes you to that store you’ve always wanted to check out on Ventura Boulevard. 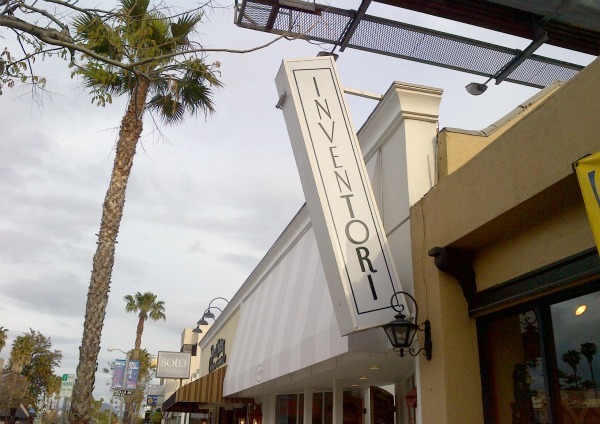 Have you been to Tori Spelling’s antique and home décor store in Sherman Oaks called Inventori? It’s a cute space split into two sides with a center courtyard in between. 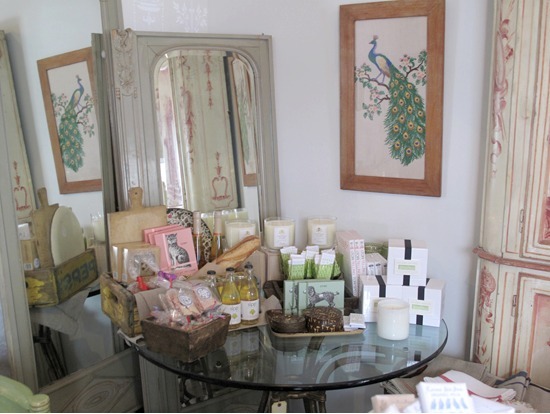 The hand-picked furniture pieces by Tori are exquisite, as are the candles, bath products, kitchen wares, art work and more. The idea for the store came when Tori’s love of collecting became too much for her own space, but she couldn’t bare the thought of stopping. The store reminded me of an upscale and pretty adorable yard sale. I loved the creative way everything was displayed and how there were so many unique pieces I have not seen anywhere else. I immediately fell in love with a series of hand drawn champion race horse prints in antique black frames. After pondering for quite a while over which one I wanted to bring home with me (and a little input from my husband and son), I settled on Argyle. I haven’t decided where to hang the print yet, but I’m thinking it will find its way in my office. After speaking with the store’s associate, I found out Tori is very involved with the operations of the store. She was on her new book tour last week, but he said you’ll never know when she’ll pop in. 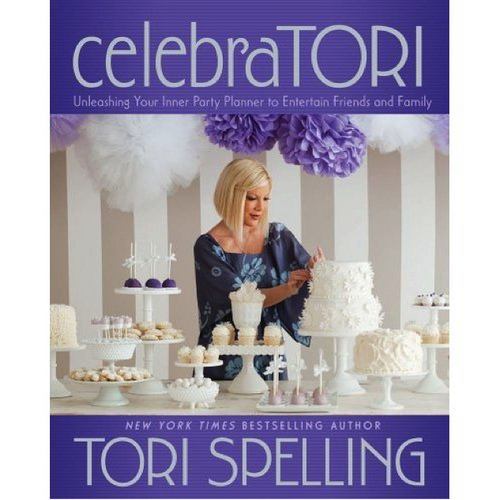 Tori’s book celebraTORI (affiliate link) launched earlier this month. Where have your travels taken you? Do you like to take chances and venture out or are you still trying to break free of your own limitations? « Taken a Break Lately? Love that store! Looks like it’s full of treasures! You can definitely find a unique piece. If you’re ever in LA you should go. Probably a good thing she didn’t. It was at the end of a very long day and I wasn’t looking my best! Still would’ve been cool. I’ve never been to California but I am a huge Tori Spelling fan so I know all about her store and her book. I would love to go! I’ve always been a fan of Tori but even more now. I love her reality show and her since of style and eye for design and party planning. Shauna, I’m so glad you got to go to her store! What a great time! Thanks Lesley! I love her sense of style as well. Her new entertaining book is gorgeous. It looks like your trip was fun! I want to visit the store… it looks like there are so many little treasures to find! Glad you cleared your head and refueled! I need that more than I give myself time for! Love Tori Spelling…I designed my crib skirt after I saw hers on the internet. Now following you via Cheri’s blog hop!